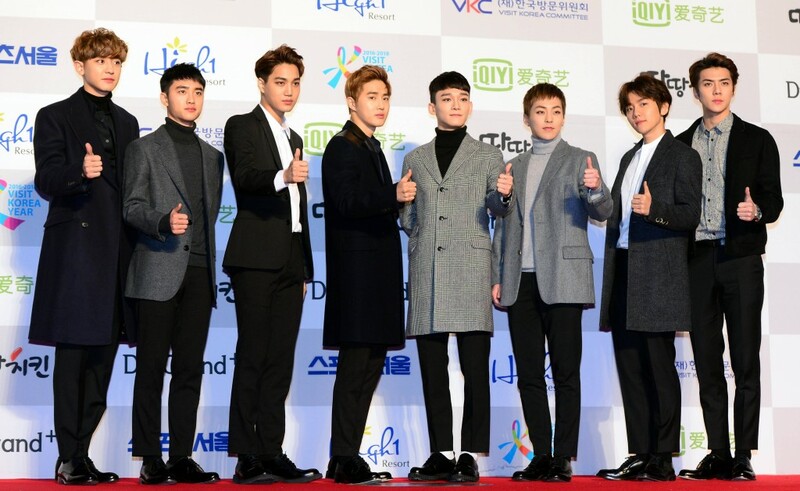 K-pop boy group Exo won the grand prize at the Seoul Music Awards held on Thursday night at Olympic Park, located in Songpa District, southeastern Seoul. By receiving the top prize, the 10-member boy group set a record as the first K-pop act to nab the highest honor from the annual music festival for three years in a row. Previously, Seo Taji and Boys nabbed the grand prize in 1992 and 1993 and Girls’ Generation took home the trophy in 2010 and 2011, but no K-pop acts won it for three consecutive years. Kim Jun-su, a member of the K-pop trio JYJ, received the Popularity Award.